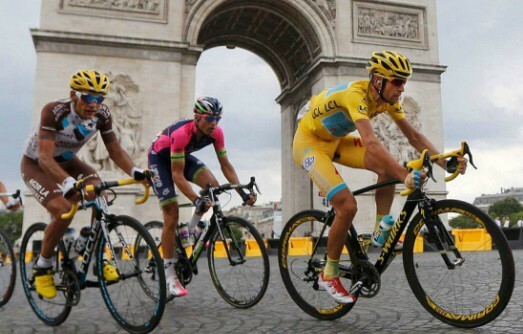 Tour De France authorities has announced around 8% increase in total prize money pot for 2016 event. A total of €2.29 million will be awarded where the winner will take home as much as €500,000 while runners-up takes home €250,000 followed by €125,000 for third place in overall standings. There are other cash prizes as well and we breakdown the entire prize money distribution. 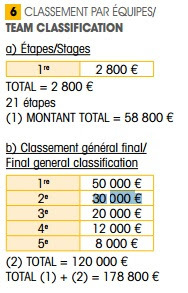 The available €2.29 million prize money pool is awarded to cyclists in different categories. There is prizes for every stage and the overall standings at the end of tour de france. 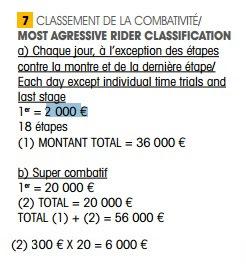 Following are some of the numbers which will explain how the cyclists are compensated. Tour De France 2016 overall winner will pocket €500,000 while the runner up will get €250,000 and €125,000 for the overall third place finisher. 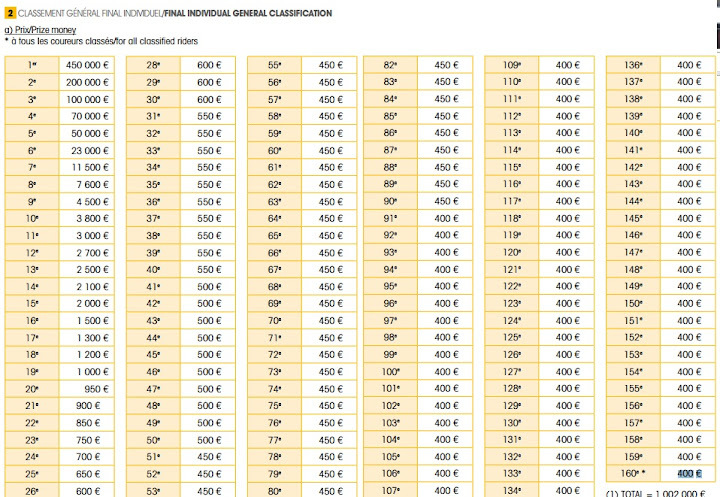 It scales down all the way to €400 for every rider who participate in the tour de france. The winner of each race is awarded €8000 the runners up €4000 and €2000 for third place and it slides down all the way to €200 for the 20th place finisher of each stage. After that we have whole set of categories where the prize money is awarded to cyclists including stuff like overall green jersey winner, overall best climbers, best young rider and most combative rider in both individual stages and overall. €300 is awarded to the winner of green jersey at the end of every race day from 2nd stage to 21st stage. 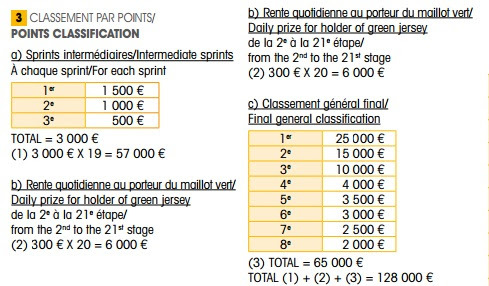 While the overall green jersey winner pockets €25,000 scaling down to €2000 for 8th place in green jersey points. 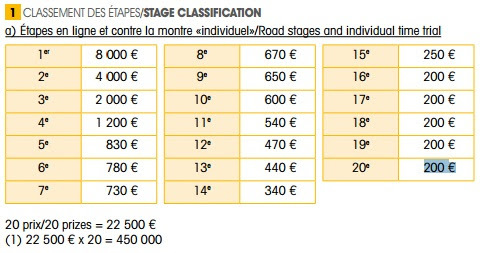 After every stage best team is awarded €2800 while the overall best team will get €50,000, second €30,000 third €20,000 fourth €12,000 and €8000 for the best fifth team. 25,000 for the Green Jersey winner. BS. Such small amounts are an insult to the riders participating in the tour considering their tremendous efforts through 21 stages of grueling racing. If there is a petition to increase these monies – I will be pleased to participate. I would bet the bureaucrats who run the tour get more money than the guys who busted their balls to compete (resulting in such a good tour), get so little.